The Institute for Workforce Education of St. Augustine College and Instituto Cervantes have teamed up to provide companies, organizations and professionals the best Spanish language training content: SpanishPRO. 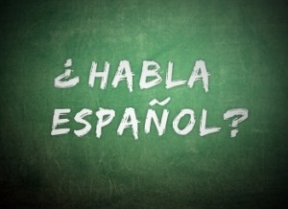 SpanishPRO, is the most effective and meaningful way to learn conversational workplace Spanish. It is designed to quickly teach specific job-related terminology, with a hands-on approach that allows participants to communicate in Spanish with fellow workers and clients. This Teaching System can be customized for basic, intermediate and advanced training. Instructors will be certified and open enrollment courses for students will be offered. This curriculum has various components and will be distributed for use by others. Today’s diverse economy, with over 40 million Spanish speakers in this country, SpanishPRO can help institutions and individuals get the edge on the competition and an advantage for personal success.